SACRAMENTO, Calif. -- California lawmakers have voted to extend the state's landmark law to combat climate change after hours of fraught debate and days of direct appeals from Gov. Jerry Brown. 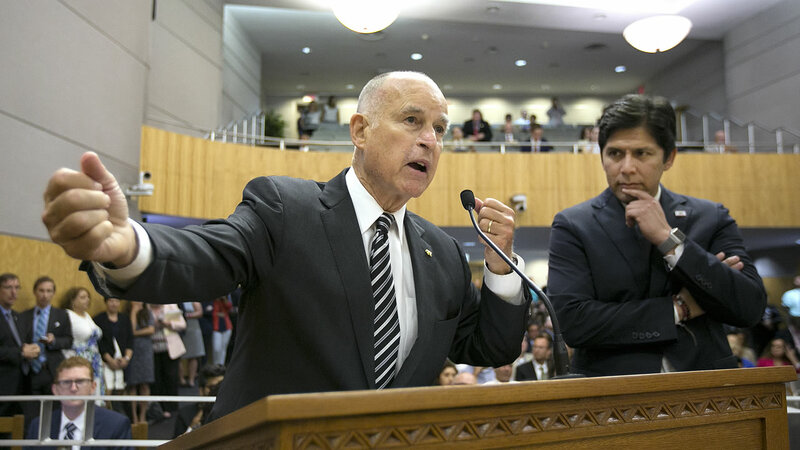 With Brown's signature, California's cap-and-trade program will survive through 2030. The program caps carbon emissions and requires polluters to obtain permits for each ton of carbon they release. On Monday, both chambers of the state Legislature approved the extension, which has potentially global implications. California is looking to serve as a model for reducing carbon emissions even as President Donald Trump is pulling back from the fight against global warming. Brown fought aggressively to extend the program, which would have ended in 2020, calling it the "most important" vote of lawmakers' lives. Some environmentalists say the program includes unreasonable concessions to oil companies. Brown calls it an affordable way to address climate change.